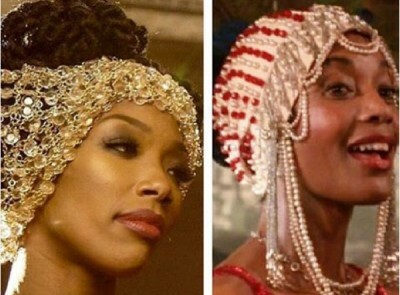 WATCH: Brandy Channels Margaret ‘Shug’ Avery From 'The Color Purple' In New Video - Ooooooo La La! Brandy debuted the video for her new single "Beggin and Pleadin" on Friday. The music video is set in an old school juke joint as she pays homage to the classic 1985 film The Color Purple. The music video happened to drop on Margaret Avery's birthday, the actress who played Shug Avery in the film. "Heart dropped❤️ Miss Avery, you have inspired this entire new movement in my life. I have loved you from the first time I saw you as #ShugAvery Happy And Blessed Birthday."